We provided short breaks for children & young people (aged 5 – 20 years) with substantial support needs, services of 6 hour breaks and overnight breaks of up to 48 hours. The project provided leisure, recreational and socialisation opportunities for our young people and a much needed break for carers. 28 x 6 hours Out & About in the community. We targeted in particular those families that have little or no respite from their caring role or were particularly pressured by the needs or change in needs of their young person. Our 4 x 2 night breaks were to, Findhorn, Rothiemurchus, Badaguish, Grantown on Spey. Our 2 x 1 night breaks were to Boat of Garten with different groups. We stayed in lodges, houses, bunkhouses and caravans in the various locations. For our Saturday/Sunday 6 hour breaks we did a variety of activities including, boxing, trampolining and ten pin bowling. We visited Landmark and went to Eden Court Theatre to see a couple of shows. We also had a couple of boys and girls nights, the boys chose to get a take away and play games and pool, the girls had a pizza and pamper pyjama party. We also had some quite different days suggested by our groups, a 'dragon day' with Warhammer modelling and painting, the group also found out about medieval myths & legends and had a jousting competition. We had a big heads day where we recreated the game show and made models of famous people! Other activities included discos, movie nights, creation of an assault course and a water based day which included the obligatory water fight. Easter and Christmas activities also took place including a visit by our youngest age group to see and feed the reindeer. We also had sensory, art and music workshops. On average 8-10 people attended per session/weekend break. We have a small staff team of paid staff and volunteers who know our young people well and supported in activities they are fundamental to the success of getting our young people involved, relaxed and motivated to join our groups and activities. The types of young people that are using our services is changing and we are having to adapt to that. We have an increased number of young people who require 1:1 support in order to fully participate in activities, overnight or 6 hour breaks, either because of their learning disability, physical, medical or behavioural needs. From a project planning and budgeting perspective this immediately increases our staffing numbers and consequently our related costs in many areas. No matter how long you have been delivering services or activities, how long you have known your young people, how much you have risk assessed or run possible scenarios in your head - there will be unexpected challenges and changes that makes you deviate from where you initially started out from/what you had planned - but riding that wave it is fantastic to see the opportunities and possibilities of where you can all end up! 48 children and young people will attend weekend outings of 6 hours duration which will enable them to socialise together in a rewarding way. They will be offered a variety of activities and outings which they will want to take part in and will enlarge their social experience. This was fully achieved, a large proportion of our young people would not be able to participate in outings without support, the majority go to school and weekends are usually just spent with family, for our teenagers in particular they really want that bit of independence from families and to be out and about with friends. Within our groups we have witnessed friendships being made, support being given to one another and confidence growing within individuals. 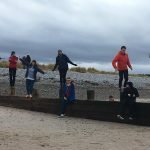 The activities are mostly all suggested by our young people, this provides us with a wide range of both weird and wonderful things to get up to and means they are trying new experiences that they wouldn't ordinarily get the chance to. The fact that this takes place within a group is for a number of our group who lead quite solitary existences a major development which is in addition encouraging the development of social skills. We had a group of 7 meet up for a 6 hour break one Saturday, the activity was entitled 'Dragon Day' and was suggested by one of our boys (who is autistic) because of his interest in Greek mythology and also in Warhammer models. When this boy came to us at first he was resistant to anything 'sociable' his normal demeanour was sullen and dismissive of people, by his own admission he said he had no friends, which he didn't see as a particular issue! But gradually over time we got him more involved in the group, getting him to suggest an activity for a Saturday we felt was a prime way for him to engage with the group. It was a hugely successful day, he was excited to show his collection of Warhammer models to the group - we had also bought extra so the rest of the boys could join in and paint their own models. Doing this activity brought out so many positive qualities out in our boy, he was patient, supportive and funny with the rest of the group. He loved doing it and he has built up a friendship with a couple from that group. It is so lovely seeing him initiating conversation and chatting away with those 2 boys and looking so happy and relaxed. The group as a whole really enjoyed this activity and to all it was new experience. 72 Carers of children who attend SNAP will have a 6 hour break safe in the knowledge that their children are being well cared for by SNAP staff. They will have the chance to try activities that take them out of their caring role. They will be able to rest and relax and recharge. Carers told us they used their time well and were appreciative of it. They told us they did activities with their other children, met up with family or friends. One was able to 'get peace' to pack for an upcoming family holiday. They went to events in the local community, went shopping and were able to go where they wanted to go to rather than certain must visit stores or there would be a melt down. For one carer it allowed them to work, which they saw as being so important to them, gave them a different sense of identity and freedom from their caring role. One of our young people (B) has Autism Spectrum Disorder and complex medical issues. B has no outlet for social experience apart from school and family. Her family are hugely supportive of B and had felt for over the past 12 years of B's life they were the best people to take care of B's needs but felt tentatively it was time to both try and enlarge B's social life and have some time to themselves. We realised this would be a difficult journey both for the parents to entrust B to someone else and for B to be accepting of us, so we built it up slowly. Parents have now been able to have a number of 6 hour breaks where they have been able to get out themselves, take up hobbies, spend time with B's siblings and just generally have some downtime. They have talked to us many times of the benefit this has made to them to get a relaxed break, safe in the knowledge that they know that B is both well cared for and is happy to be with us. Recently they asked if B could be considered for a weekend break - we are absolutely delighted that they see the benefit this would be for all of them and more importantly that they have trust in us to do this. 72 parents and carers of children who attend SNAP will have a 28 or 48 hour break whilst their children go on a “Sleepover” break with their peers and SNAP staff. Parents told us what they did with their 'time off' and of the benefits to them. A number went away for the weekend themselves. A large proportion just enjoyed being at home, having a drink and a takeaway and the chance to catch up on sleep. One couple took the opportunity to redecorate, as they know this would have been impossible had their child been there. A few parents went for a night out with friends or family. We took one of our teenagers away for a weekend with a group of their peers. The family had been experiencing increasing pressures, both parents had been experiencing stress and had difficulty coping with the demands their child was placing on their day to day life. One parent was signed off work because of it. No social work help in the form of respite was available to them and they had no extended family that could give them a break, their teen also would not go with anyone, they just wanted to stay in the house all the time. We took the teen away. Mum and dad booked a weekend break away for themselves, got away from their home and caring role for 48 hours enjoying meals on their own, relaxing and unwinding. On their return they told us they felt re energised, it was apparent on their faces, they also said that it was the first chance they had in ages to have quality time together and just be a couple and not first and foremost 'parents of a child with special needs' they had the chance to put their needs first for once. We have subsequently been able to offer them another weekend break and 6 x 6 hour breaks. The parent has subsequently been able to return to work and said that they felt more able to deal with life as it is, because they knew they were now able to get a break. 72 parents & carers of young people with substantial special needs will benefit by feeling more supported to sustain their caring role. Carers will have information ahead of time & an ongoing open dialogue with SNAP staff to ascertain when there is need for breaks within individual families. This has been fully met. We know our parents well and normally are well aware of particular families who may be experiencing pressure at times. We naturally targeted these families and saw them as being our priority. We sent out information as far ahead of time as possible in order that carers could plan their own break. We then supplemented it with more detailed info on activities, after speaking to attendees of the group- all to give as much info to carers regarding where we would go, what we would do and who would be there. 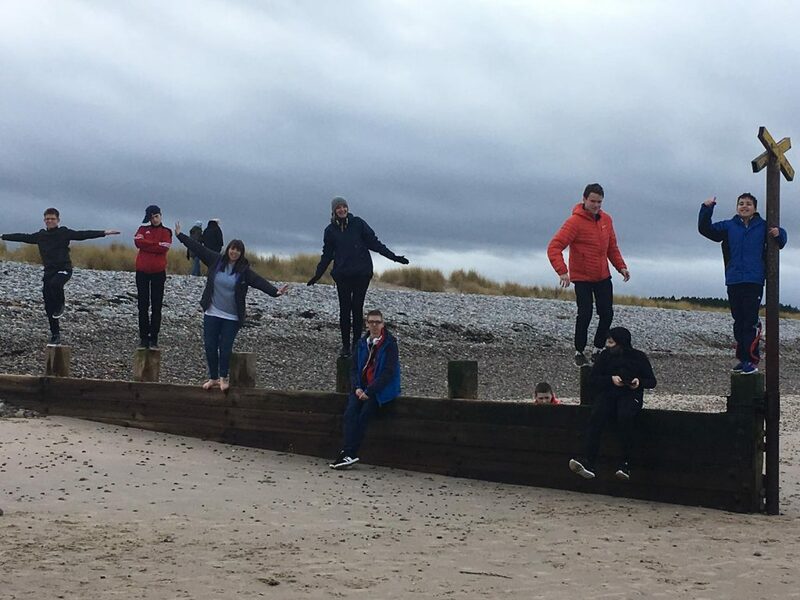 Along with supporting parents we supported our young people preparing them for the excitement of a weekend away so they were prepared and to minimise any anxiety that some would probably experience and pass on to carers. We also did follow ups with a number parents. By being able to offer carers more than one break it relieved the pressures on some families that we know were struggling with day to day issues supporting their young person. Two of our carers have been experiencing increasing pressures at home dealing with the behavioural issues and frustrations of their child who has autism. We have been supporting them in a number of ways, attending meetings and being an advocate for both child and parents, trying to offer advice and support in dealing with behavioural issues and by offering some breaks to ease the pressures in the home. We also give detailed information as much ahead of time as possible to enable parents time to discuss activities/outings with their child. Parents have informed us that they do not know how they would have managed, the breaks have allowed them to catch up on sleep which in itself has enabled them to look at their difficult situation with a calmness and rationally that they hadn't been able to do before, it has helped them to cope with their current situation. This was fully met. We have regularly accessed activities in our local community, we took part in a street festival, accessed ten pin bowling, cinema, shows at Eden Court Theatre, went trampolining, and attended a boxing gym all within our local community and none of these were 'specialised activities'/special screenings /autism friendly events. A number of our boys in particular were showing an interest in keeping fit, combat/wrestling games. We decided to approach the owner of a local boxing gym to see if we could do a coaching session there. It was such a success that we have taken other older groups there with the same success rate. A number of the group have issues with their weight, they responded positively to the different types of exercise and movement that they tried (which we have subsequently incorporated into some of our activities), others in the group have anxiety and stress related issues, they were loving the discipline of the gym, knowing what they had to do was very clear also using things like the punchbag was a massive stress reliever and confidence builder. This activity was also a great social experience for all. A couple in the group have subsequently gone on to take extra lessons.